Explore Kendall Square's development history and see what is planned for the future! 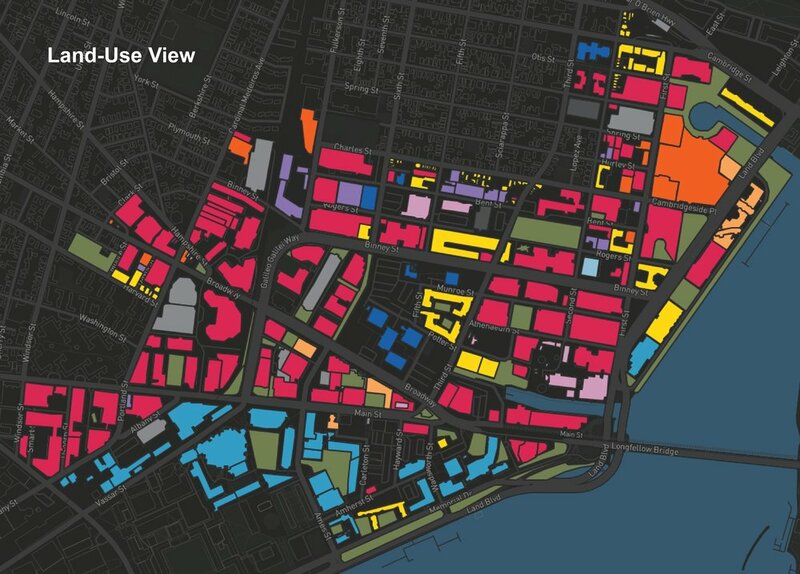 The Interactive Kendall Square Development Map illustrates the growth and evolution of Kendall Square since 1980, when the redevelopment of the Kendall Square Urban Renewal Area started under MXD zoning. 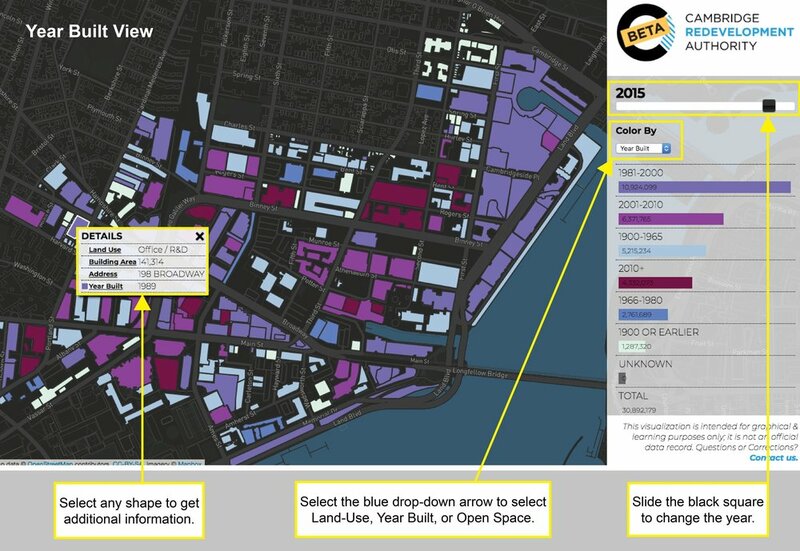 The map has three visualization categories- growth by year, development of mixed-land uses, and open space. Year-by-year development changes can be seen as buildings become visible when they are constructed and invisible when they are demolished. Additional building information can be found including the building’s land-use, building area by parcel, address, and year built. The bar chart totals the square footage of the buildings or open space aggregated in the selected year. For more information on the data, methods and processes used to create this map see here. If you have questions or corrections regarding the map's content or use please contact Alexandra Levering by using this content form.